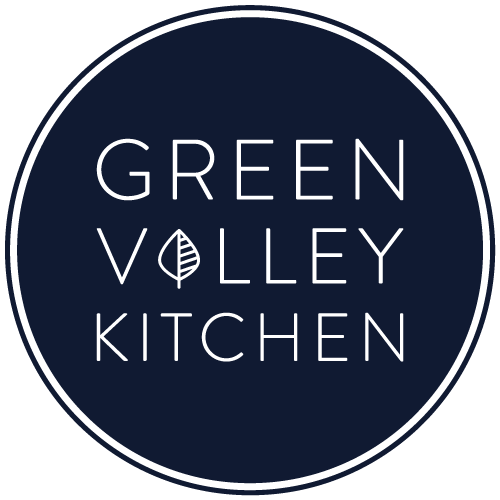 Information You Voluntarily Submit to Green Valley Kitchen: We may collect personal information from you such as your name or email address. For example, you may voluntarily submit information to the Website by leaving a comment, subscribing to a newsletter, or submitting a contact form. Automatically-Collected Information: We automatically collect certain information about you and the device with which you access Green Valley Kitchen. For example, when you use the Website, we will log your IP address, operating system type, browser type, referring website, pages you viewed, and the dates/times when you accessed the Website. We may also collect information about actions you take when using the Website, such as links clicked. Cookies: We may log information using cookies, which are small data files stored on your browser by the Website. We may use both session cookies, which expire when you close your browser, and persistent cookies, which stay on your browser until deleted, to provide you with a more personalized experience on the Website. For more information about cookies please see below. What are cookies? A cookie is a file containing an identifier (a string of letters and numbers) that is sent by a web server to a web browser and is stored by the browser. The identifier is then sent back to the server each time the browser requests a page from the server. Cookies may be either “persistent” cookies or “session” cookies: a persistent cookie will be stored by a web browser and will remain valid until its set expiry date, unless deleted by the user before the expiry date; a session cookie, on the other hand, will expire at the end of the user session, when the web browser is closed. Cookies do not typically contain any information that personally identifies a user, but personal information that we store about you may be linked to the information stored in and obtained from cookies. Users may, at any time, prevent the setting of cookies, by Green Valley Kitchen, by using a corresponding setting of your internet browser and may thus permanently deny the setting of cookies. Furthermore, already set cookies may be deleted at any time via an Internet browser or other software programs. This is possible in all popular Internet browsers. However, if users deactivate the setting of cookies in your Internet browser, not all functions of our Website may be entirely usable. Google Analytics – this service tracks Website usage and provides information such as referring websites and user actions on the Website. Google Analytics may capture your IP address, but no other personal information is captured by Google Analytics. We use Google Analytics to analyze the use of our website. Google Analytics gathers information about website use by means of cookies. The information gathered relating to our website is used to create reports about the use of our website. MailChimp – this service is used for delivery of email updates and newsletters. We store your name and email address for purposes of delivering such communications. For more information see the Newsletter section below. If you create a user profile on Green Valley Kitchen or leave a comment, certain information may be publicly visible. Green Valley Kitchen may engage in sponsored campaigns with various influencer networks, brands, and agencies. All sponsored content is duly disclosed in accordance with the FTC’s requirements. From time to time, these sponsored campaigns utilize tracking pixels (aka web beacons), which may contain cookies to collect data regarding usage and audience. This information is collected by the sponsoring company to track the results of the campaign. No personally identifiable information collected by Green Valley Kitchen is used in conjunction with these tracking pixels. Green Valley Kitchen may engage in affiliate marketing, which is done by embedding tracking links into the Website. If you click on a link for an affiliate partnership, a cookie will be placed on your browser to track any sales for purposes of commissions. Green Valley Kitchen is a participant in the Amazon Services LLC Associates Program, an affiliate advertising program designed to provide a means for sites to earn advertising fees by advertising and links to Amazon.com. As part of this Amazon Associates program, Green Valley Kitchen will post customized links, provided by Amazon, to track the referrals to their website. This program utilizes cookies to track visits for the purposes of assigning commission on these sales. 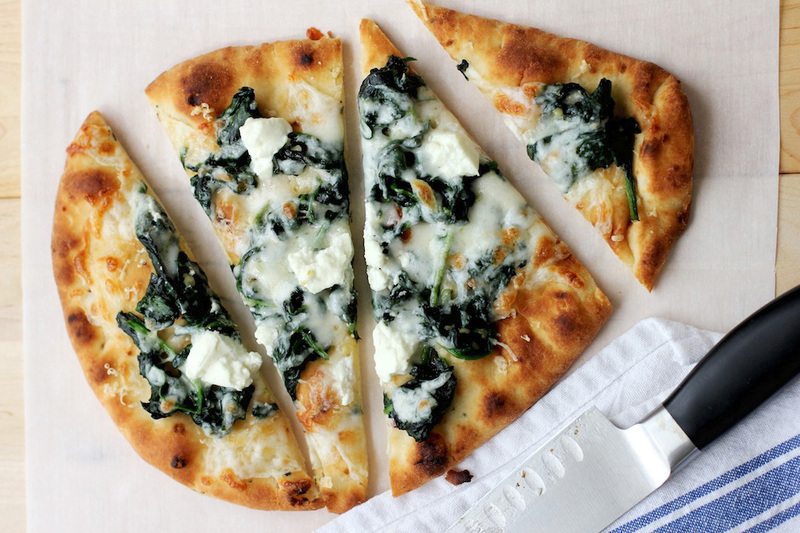 On Green Valley Kitchen, you may subscribe to our newsletter – which sends you an email with a recipe each time a new recipe is published on Green Valley Kitchen. All newsletters sent may contain tracking pixels. The pixel is embedded in emails and allows an analysis of the success of online marketing campaigns. Because of these tracking pixels, we may see if and when you open an email and which links within the email you click. Also, this allows Green Valley Kitchen to adapt the content of future newsletters to the interests of the user. This behavior will not be passed on to third parties. We only collect your email address if you have voluntarily provided it to us. This may occur, for example, if you sign up to receive an email newsletter, or enter a promotion. If you have provided your email address to us, we promise to use it only for the purposes for which it is provided. We will not use your email address to contact you for unrelated reasons. You may opt out of such email communications at any time by clicking on the “unsubscribe” button in the email or by contacting us at geraldine@greenvalleykitchen.com and asking to be unsubscribed. If you leave a comment on our site you may opt-in to save your name, email address and website in cookies. To do this please add a check mark to the check box under the comments section. These are for your convenience so that you do not have to fill in your details again when you leave another comment. Opt-out – You may opt-out of future email communications by following the unsubscribe links in our emails. You may also notify us at geraldine@greenvalleykitchen.com to be removed from our mailing list. Amend – You may contact us at geraldine@greenvalleykitchen.com to amend or update your personal information. Forget – In certain situations, you may request that we erase or forget your personal data. To do so, please submit a request to geraldine@greenvalleykitchen.com. Green Valley Kitchen does not knowingly collect any personally identifiable information from children under the age of 16. If a parent or guardian believes that Green Valley Kitchen has personally identifiable information of a child under the age of 16 in its database, please contact us immediately at geraldine@greenvalleykitchen.com and we will use our best efforts to promptly remove such information from our records.